Join artists Pierre Coupey, Sarah Clement, and Enda Bardell as they reminisce about their first memories of art, and explore what exactly drew them to working with the mediums they love. "Paint itself is something I'm in love with – the way of making shape and form with a loaded brush. Without that, I think life would be quite deprived." What's in a name? A lot when yours is shared with a famous relation. Our By All Means Create with… series draws to a close with decorative artist Kathy van Gogh. 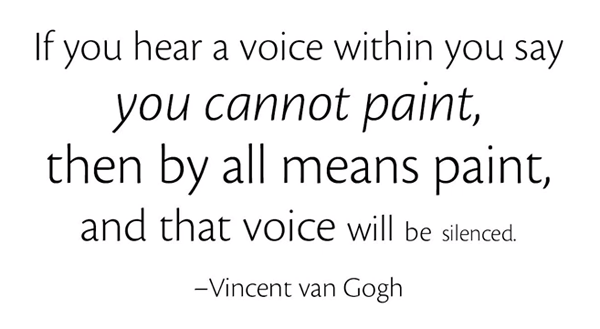 18 visual artists and one of the most inspiring creative quotes in art history. I think I was born to be a painter. I don't know if I chose it but maybe art chose me. It is above me, beyond what I am. It's like eating, drinking – so I need to paint. Gaye Adams (SFCA, PSC, MPAC) is an oil painter who loves painting out on location en plein air. Her field studies are important to her because they become accurate colour references for future paintings, as well as being amazing practice for painting quickly in unpredictable situations. She uses the experience of the day to further evolve herself as an artist and believes the best way to grow as a painter is to paint outdoors. Getting out of the studio and into a beautiful location doesn’t hurt either. Paint like the Old Masters did! In the latest in our How-To video series, Mandy Boursicot teaches her step-by-step introduction to painting a portrait using the grisaille method. 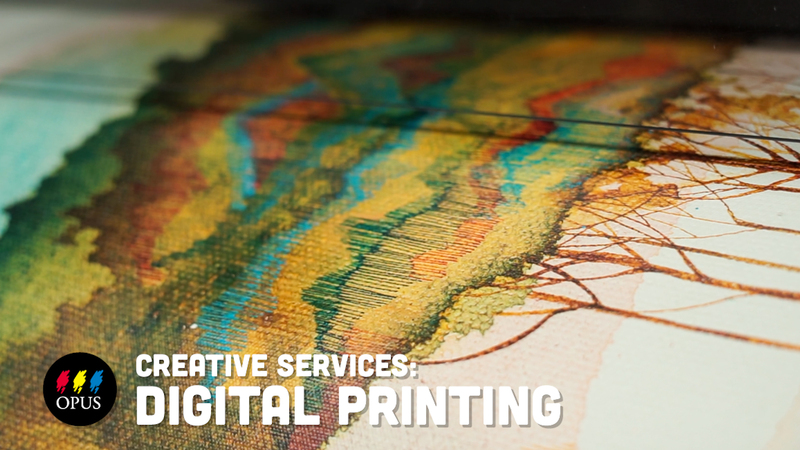 Opus Art Supplies has been an integral part of the visual arts community in BC for the past 40 years. From humble roots as a wholesale framing company in Vancouver, Opus has grown to include 6 retail locations, a national mail order service, and an online store. As the times have changed, Opus as a business has followed suit. With the holidays right around the corner, you may have already been asked, "What would you like for a gift?". What if there were no limits? What would your ultimate gift be? We asked this question of our staff members. They could choose something as small as a pen, to something bigger like an easel, or even a variety of items that, when used together, would create their idea of the ultimate gift. As you can imagine, their choices were as varied as the artists who selected them. For inspiration to treat yourself or someone special on your gift list, watch the The Ultimate Gift above and read the full list below to find out what Opus staff chose and why.